You own a manufacturing line to produce ... something! Many of the processing steps are expensive and critical to both yield and quality of the product. Your available tests after each of these processing steps are also expensive. What should your test strategy be? Bear the expense and test after every processing step? Or perform minimal testing (with the risk of performing many expensive steps on unfinished product that is already doomed due to undiscovered defects)? 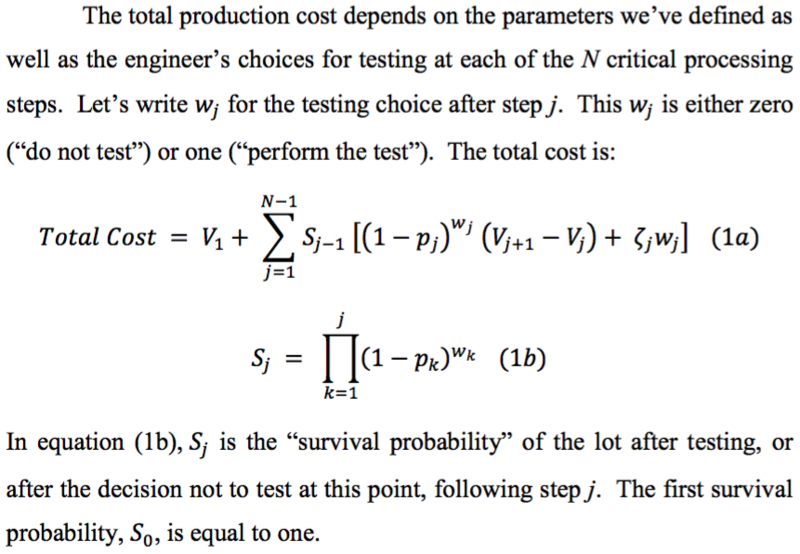 See "Test Strategy to Minimize Semiconductor Manufacturing Expense" for the McDevitt-Pimbley model for optimal testing.